Hiring a marquee for your wedding can be a big decision, so you need to consider every little detail, from the size to interior of the marquee. 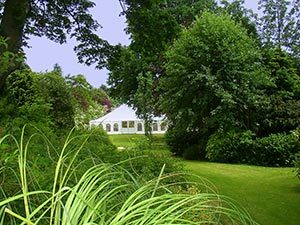 When thinking about hiring marquees, Norfolk brides and grooms-to-be come to Weatherill Brothers. We’re more than happy to talk through your requirements. Get in touch with us here at Weatherill Brothers on 01953 882 394. How many are you hosting? Is this a huge wedding with all the bells and whistles or a small and intimate affair? Your guest list plays a big part in the size and style of the marquee you will need. It also affects other services and facilities, such as catering, toilets and more. When is the big day? Because the sooner you can book, the more choice you’ll have and more time to plan contingencies and change your mind. Leave it until the last minute and you might be limiting your scope of choice. Will you need extra facilities such as a dance floor, bar area, air conditioning or furniture for you marquee? The marquee is the starting point around which you can build everything else. Where are you planning on putting your marquee? You need to check with the venue that there is a suitable spot and that they can accommodate everything you need. The last thing you need is to make all the arrangements and then find out it’s not going to work.